Wedding rings are without doubt really beautiful. A lot of thought goes into selecting one no matter how simple or complicated the design. As a photographer I am looking to capture the special feeling which goes into selecting these rings. 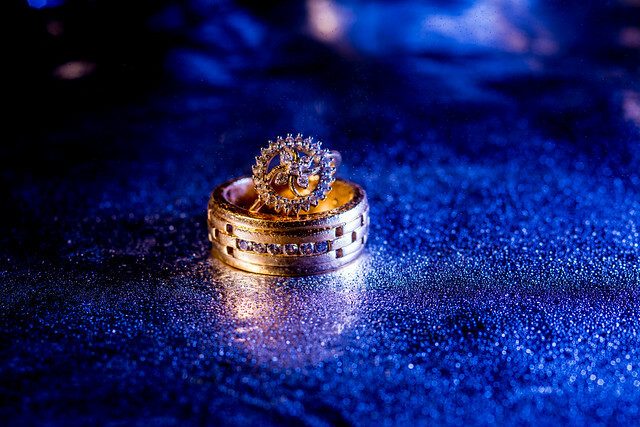 Though I don't really photograph wedding a lot I did get a chance to photography this couple for pre-wedding shoot and they showed these beautiful engagement rings . I wanted to create something really special for these two. So I did what any I do when I feel I need answers to earth shattering questions like why is the sky blue? or why the grass is green or in this case I need ideas to make these rings look awesome and capture a special feeling. I scoured the internet for ideas, I searched and searched after going through many, many, ideas for wedding photo ideas I finally ended up with the images below. I personally love it because it this had multiple layers to it. For this I use two flashes, a macro camera locked on manual focus and some water spray going off. The flash's are is on either side of the ring and one of them is gelled in yellow to exaggerate the gold colour. The reflective surface is a simple aluminium foil borrowed from the kitchen. 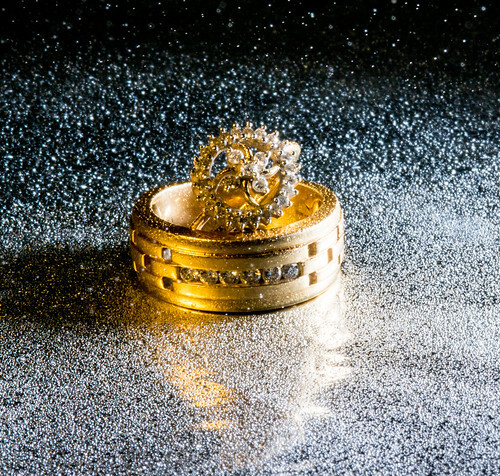 Let me know how you found the image and any wedding ring image ideas you have by adding you comments below.